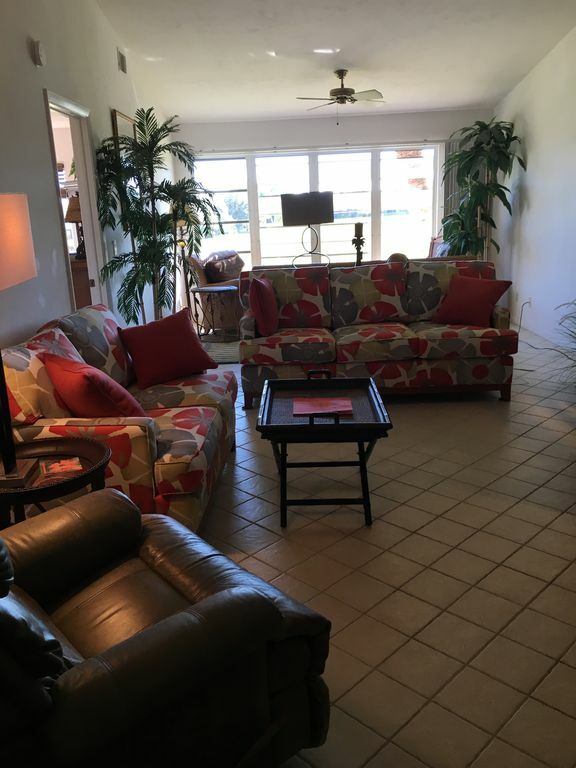 Enjoy this beautiful 2 bedroom, 2 bath condo located approximately 5 miles from the beach (1300 sq. ft). Condo also overlooks a golf course and small pond. Furnishings reflect the 'Tommy Bahamas' relaxed look. There are 4 TVs, one in each bedroom, one in the living room and one located on the kitchen counter. Large swimming pool about 5 minute walk in the shape of a 'Shamrock' and 6 tennis courts where everyone is invited to play with others on a daily basis. Boccie played daily. Condo is also close to the Naples airport, Tin City and 3rd Street and 5th Avenue. We relay appreciate our stay, great community, quiet, close to the beach and shopping. We will rent again, owner are easy to communicate, via phone or email.